SuburbSomeone and 29dude like this. Whut. How is this possible? How could I have let my kingdom of posts slip away from me like this? ._. I am looking for a town I can call home can you help? GearHead97 and JokerBoss99 like this. pbrassat surpassed you. tsk tsk tsk. I love your profile picture it's so original!!! 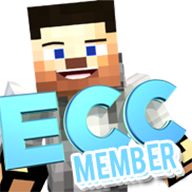 Still, I don't see any ecoleaders that haven't had a profile picture at some time or another. I will win. I WILL WIN. I WILL WIN. Your PTR ratio is not looking nice... Tsk tsk tsk. High PTR = Mods, people with almost no posts. I have tons of posts, and a pretty good PTR. Also, you have a HORRIBLE RTG ratio! SuburbSomeone and Rachel8484 like this. But I will win the rating war!